Wow, didn’t realised that I have not been writing for such a long time! Anyway should have a few things coming up shortly as a some recent discussions. 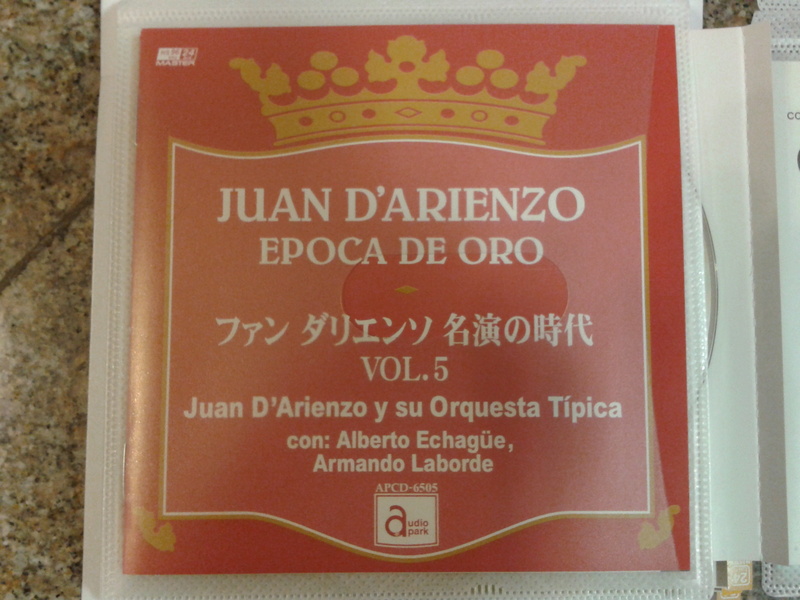 The second batch of new CDs arrived yesterday. Thanks to Vivien for bringing them back from Buenos Aires! Next step is to digitise everything to lossless format before anything goes wrong with the CDs (they seem to be writeable CDs), as Royce has recounted here. I plan to switch my DJing collection (and ditch iTunes) eventually to flac in any case. Given the state of preservation (or the lack of) of recorded tango music since the 1940s, it’s little wonder that we can commonly find from the major labels like Sony-BMG, EMI, etc., are but only a fraction of all that was recorded during the Golden Age of tango. In fact, many gems are only available in the expensive editions released by private collectors. Here is another beautiful piece from Canaro, “Invierno”, which I heard for the first time a couple of months ago. By the way, even the usually reliable resource http://eng.tango.info has no information as to the source of this song! Incidentally I really enjoyed this clip from the well-known DJ Damián Boggio as he showed off a little of his record collection. * However, this song must be reasonably “accessible” in Buenos Aires as I have already seen 2 performances this year using this song. One source that I have discovered is Club de Tango, but perhaps there are others? First of the recent acquisitions to arrive!! 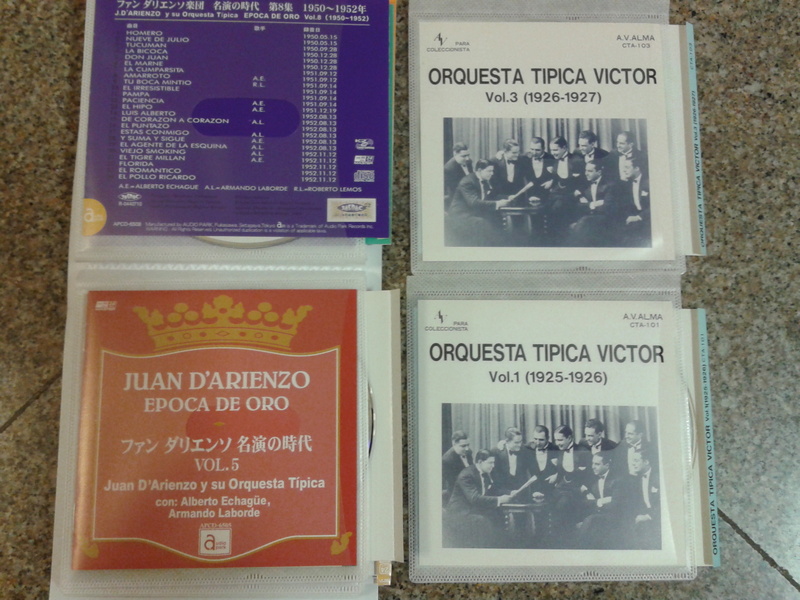 * Today’s parcel contains the 11-disc set of “D’Arienzo Epoca de oro” and from the famed Club Tango Argentino (CTA) collection: CTA-101 Orquesta Típica Victor Vol. 1 (1925-1926), CTA-103 Orquesta Típica Victor Vol. 3 (1926-1927) and CTA-704 Francisco Canaro (1931-1932).